NEW DELHI: In just a few hours from now, the Narendra Modi government will deliver its last budget of the current Lok Sabha session. 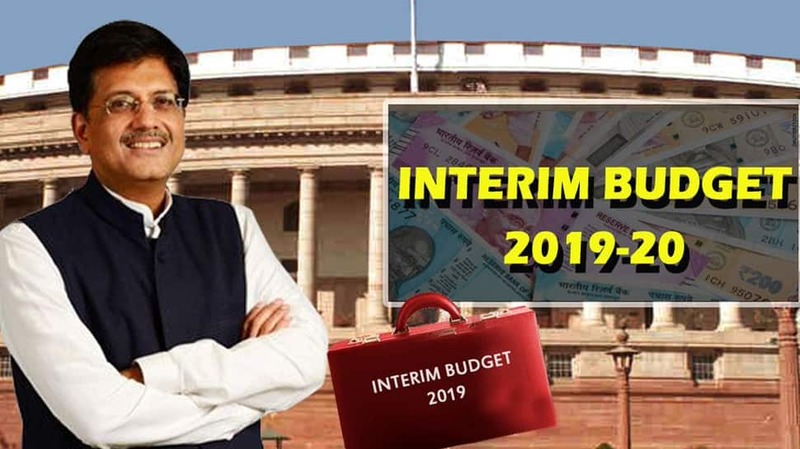 Coming ahead of the General elections due in April- May, the interim budget is likely to dole out sops for various sectors – majorly in the Agriculture, banking, real estate and the Railways. Piyush Goyal, who has been an additional charge of the Finance Ministry in Arun Jaitley’s absence, may present a proposal to give Rs 8000-Rs 10000 per annum to every family. Loans up to Rs 3 lakh may be made interest free. It is also likely that the government may announce that for loans worth Rs 2-3 lakh, farmers will not need to have a mortgage. Pradhan Mantri Fasal Bima Yojna (PMFBY) may get a fund of Rs 15,000 crore in this interim budget. It is also likely that the government may waive off premium on crop insurance. There is also a proposal likely to waive of interest on crop loans for farmers who pay on time. They will be hoping to see either a reduction the rates of stamp duty or its inclusion under the GST. The focus of the Rail Budget will be on safer, faster and better infrastructure. Piyush Goyal who is also the Railway Minister is unlikely to announce new trains, but may make announcements on increasing the speed of few existing trains. The Rail Budget which is likely to be worth Rs 1,60,000 crore, will focus on making Railways a safer mode of transport and is thus likely to announce measures on Train Protection Warning System, GPS enabled train track system, Track Maintenance with Advanced Machinery. He may announce an increase in passenger amenities like escalators on 600 additional Railway stations, lifts, Wi-Fi, among other services. Despite low inflation and possible interest rate cuts, investors have been wary of buying bonds. The Modi government will be aiming to quell this fear in investors. The Budget may offer additional capital infusion for public-sector general insurers. There is a demand for additional Rs 1-2 crore capital investment in banks. Banks will be hoping to make the process of giving loans simpler and bringing transparency in the e-KYC rules. Bankers will be hoping that the TDS on fixed deposits be increased from the existing Rs 10,000 to Rs 50,000.